"Our office offers FREE consultations. Acting immediately is essential to protecting your rights." 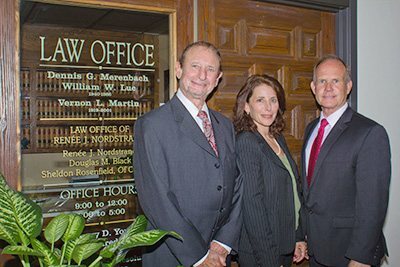 Since 1989, attorneys at our law firm have been fighting to protect the rights of personal injury and wrongful death victims in the Los Angeles and Santa Barbara areas of Southern California. We have the resources needed to succeed. Our clients have an experienced lawyer working with them, managing the preparation of their case and personally representing them at all times. Protect your rights and call us for a free consultation today or, complete the brief e-mail contact form provided below. "Consultations are FREE. We represent clients on a contingent basis. If there is no recovery, there is no charge." Disclaimer: The personal injury, accident, injury or other legal information presented at this site should not be construed to be formal legal advice, nor the formation of a lawyer or attorney client relationship. Any results set forth herein are based upon the facts of that particular case and do not represent a promise or guarantee. Please contact an attorney for a consultation on your particular accident matter. This web site is not intended to solicit clients for matters outside of the State of California.